Whether you’re looking forward to a camping trip in the mountains or down to the beaches of Florida, the aluminum rims with all terrain tires (and matching spare) will keep you safe! It also comes with CSA construction and seal, and a semi-gloss exterior that keeps it safe and looking great. 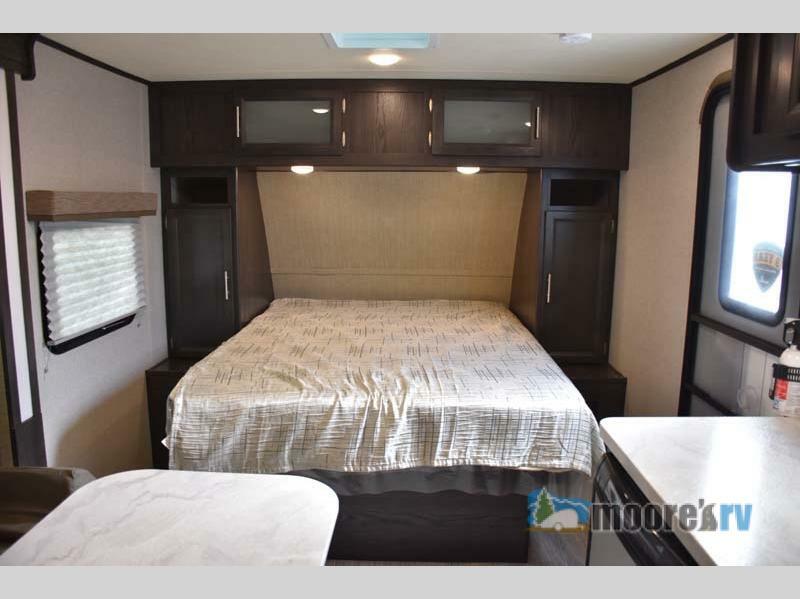 The best part about the features of this RV is the “Cub Package,” which comes with a multitude of great features. Each of the appliances is stainless steel, and includes a stainless steel high output furnace as well. The kitchen includes a two burner range with a glass cover, and a high spout faucet, with plenty of counter space to be able to cook throughout the day. 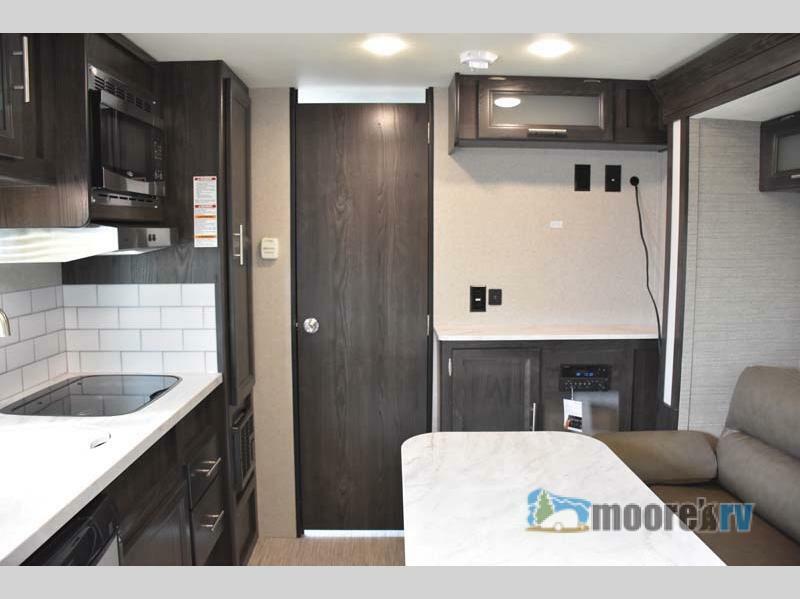 As you can tell, there’s many great features in this cozy travel trailer! With the perfect space for two, and a perfect amount of storage, the two of you will have everything you’ll need for a weekend getaway or for a long two weekend vacation! 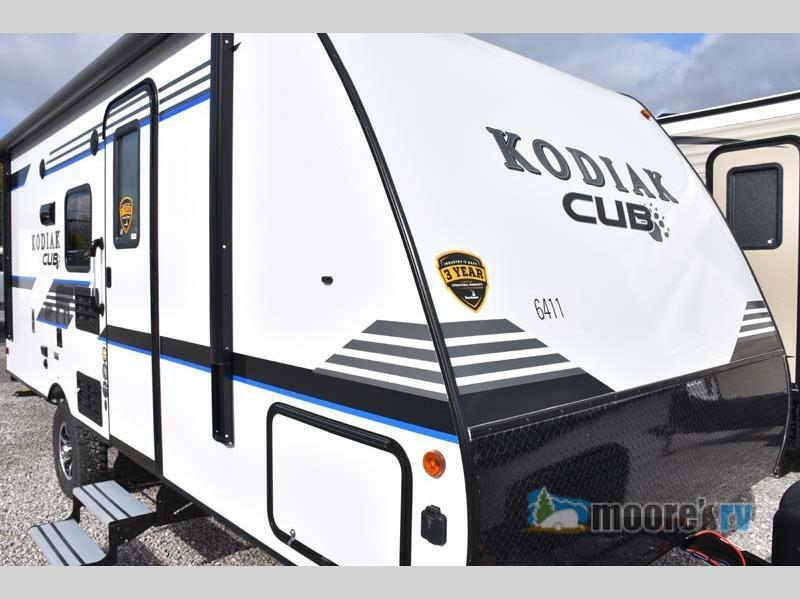 Ready to start your camping adventures in our Dutchmen RV Kodiak Cub for sale? Contact us today and start your journey!